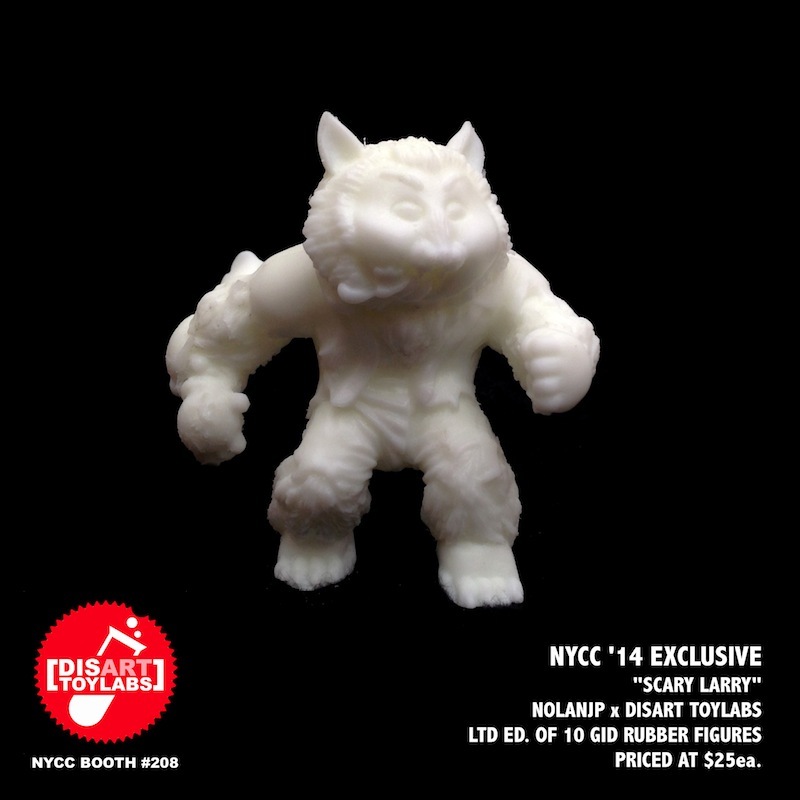 Ahead of returning to our regular postings next week, we’re proud to reveal a very important event in our store tomorrow… the Tru:Tek/Disarticulator post-ToyCon sale! 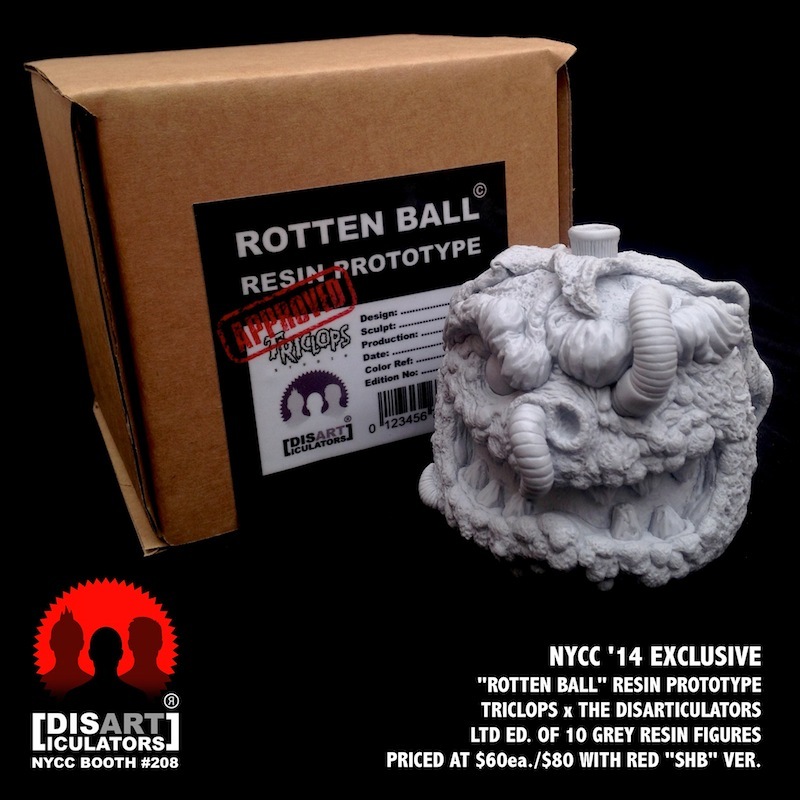 Featuring all of the figures we’ve revealed throughout the past few days, keshi, glyos and madball fans alike are going to be in their element with the likes of the Tanklopula, Pachi Gacha Machine, and of course the Triclops x Disarticulator “Rip(p)er Red” Rotten Tomato ball all up for grabs… Dropping in the Man-E-Toys store this Monday, April 14th at 8pm London time, we suggest heading over prompt to avoid disappointment as many of these figures will never see another run again! Standard “Keshi-Gomu” Edition// Originally seeing a limited release at the Keshi Party, the standard flesh colourway is back! 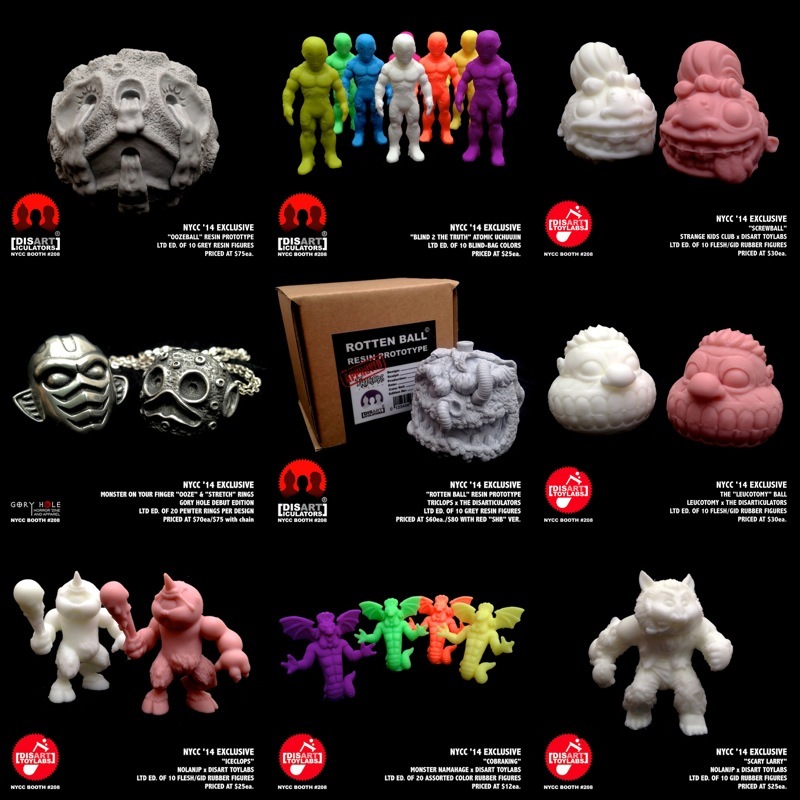 Limited to an edition of 10 rubber urethane figures cast up by Tru:Tek, these come packed with a header and “Crystallized Corpuscle” watch button for just £18 each. “Marble Color Change” Edition// Utilising new production techniques, these guys have been cast up in 2 and 3 way marbled thermal colour changing mixes. Once again limited to 10 figures, each comes blind packed in a deluxe box designed by Jupiter Ace for £22 a piece. 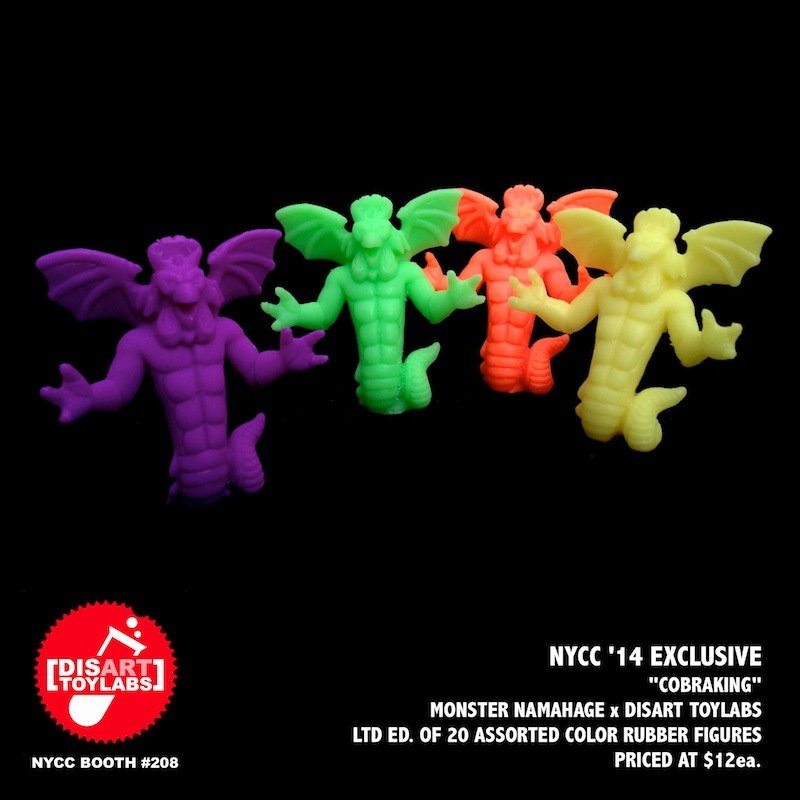 UV Reactive “Radiation” Edition// The pièce de résistance, the Radiation variant has been cast in an off-white rubber with UV reactive radiation burns that turn pink in the sun! (check out a short video of one in action here) Limited to a run of 10, these also come packed in a deluxe box with button for £22 each… With all 3 versions making an appearance at the Rampage Toys x Disarticulator ToyCon booth come opening time this Saturday, April 12th, those unable to attend the event can expect details of online sales to follow soon after! 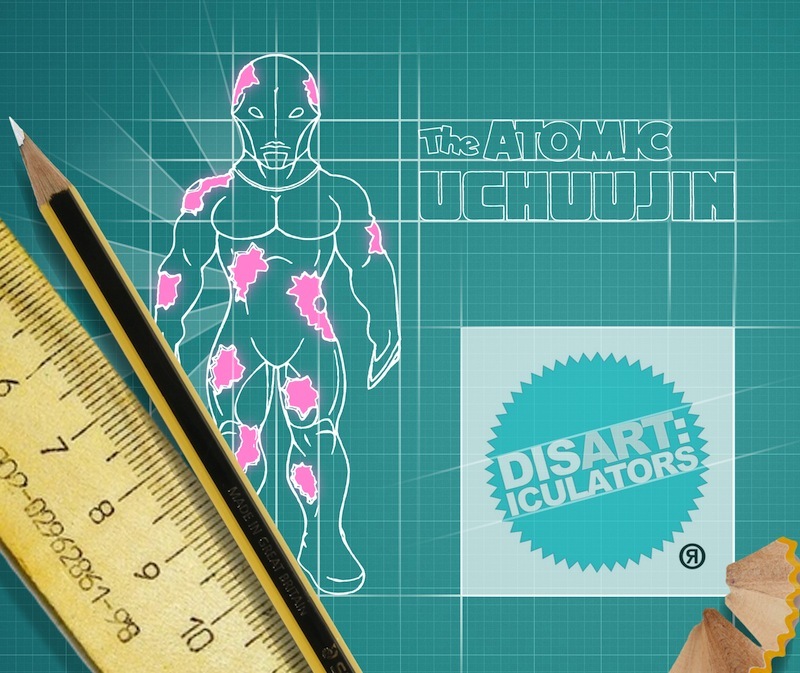 Promised to you guys at the beginning of last week, we can now finally reveal the companion piece to the Disarticulators‘ latest figure Atomic Uchuujin… the “Crystallized Corpuscle” watch buttons! 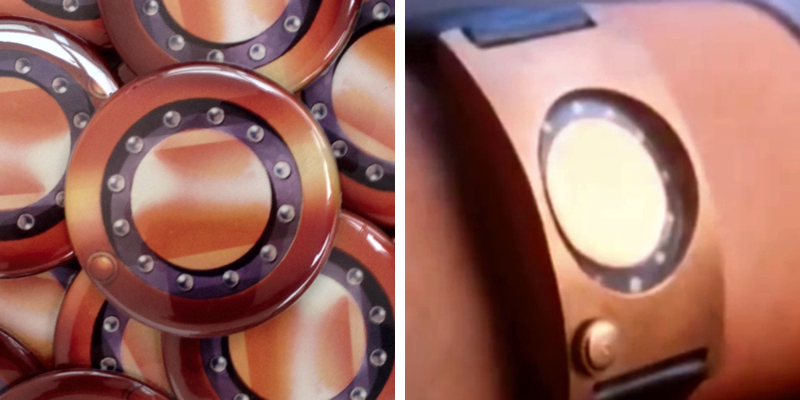 Closely based on the human blood draining watches found in the banned Ultra7 episode “From A Planet With Love” (the very same that influenced AU’s appearance), the 100% hand designed piece was initially drawn out by Disarticulator sculptor Zectron, with colouring from Ralph Niese. Realised as a faithfully scaled 2.25″ button courtesy of Button Lab, the awesome addition will be packed free with every future Alien Uchuujin purchase… Both standard flesh and Zectron’s Artist Proof GID should be ready to drop in the next couple of weeks (once final packaging is approved), so be sure to keep a close eye out for solid release details soon!